NovoEd is proud to announce three recognitions this December – two from the Brandon Hall Group and one from Talented Learning. What’s even more impressive is that all of these accolades are based on our classic experience. This month, we released the next generation of the NovoEd Learning Platform, which offers an elegant new UI and mobile-first experience with enhanced learning capabilities. Check it out! NovoEd is a Brandon Hall Group Excellence in Technology Award Winner! 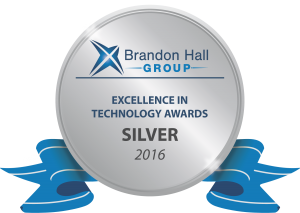 NovoEd earned a Silver Medal for “Best Advance in Social Learning Technology” and a Bronze Medal for “Best Advance in Unique Learning Technology” in the Brandon Hall Group’s Excellence in Technology Awards 2016. A panel of veteran, independent senior industry experts and Brandon Hall Group senior analysts and executives evaluated the entries based upon the following criteria: Product, Unique differentiators, Value proposition, and Measurable results. NovoEd Wins a 2016 Talented Learning LMS Vendor Award! 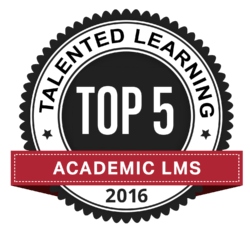 We are honored to be listed as one of the Top 5 for Best Academic LMS! This is because NovoEd is trusted by so many top universities for their business and executive education programs. Our clients include Stanford GSB, UVA Darden, UC Berkeley Haas, UPenn Wharton, Chicago Booth, and many others. But what’s most impressive is that we’re not a (traditional) LMS – we’re an online learning platform that’s laser focused on delivering an engaging and effective learning experience. Thank you to Brandon Hall Group and Talented Learning for the recognition!